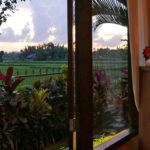 Surrounded by cool rice-field breezes and a pool right on the doorstep, Bamboo Bungalow is a uniquely refreshing break from the hustle of Ubud. 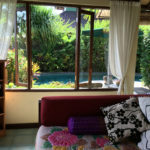 Perfect for a chilled couple, Bamboo is a spacious Ubud rental house, conveniently accessible to the carpark and Reception. 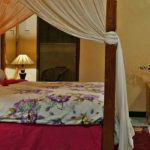 The large bedroom features a queen canopy bed, AC, a ceiling fan and an ensuite bathroom. 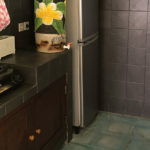 There are shelves and hanging space for clothes, as well as a small couch and flat-screen TV with USB port and DVD player. 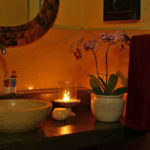 The bathroom is ensuite – large, well appointed and indoors. 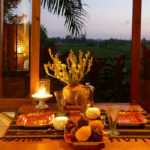 The compact kitchen has a dining table with 2 chairs overlooking the rice-field. 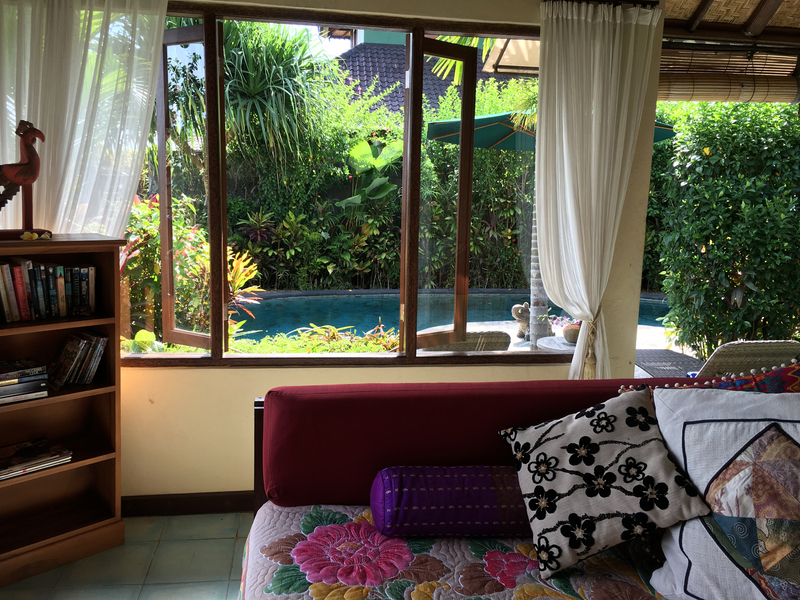 The living area is on the terrace and includes a comfortable daybed which you will not want to leave. 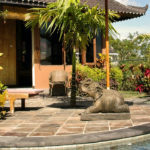 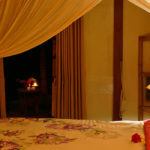 Bamboo Bungalow has the feel of a tiny personal resort, just for you.